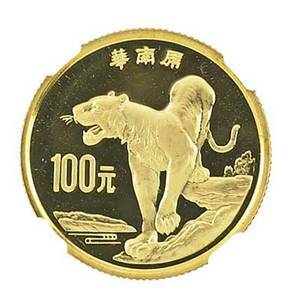 China, 1987. 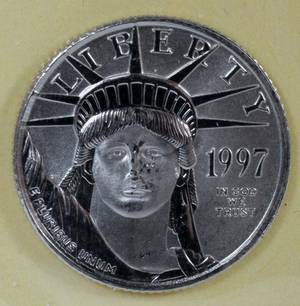 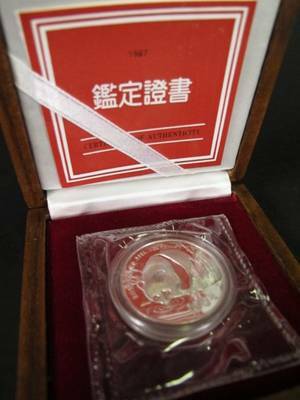 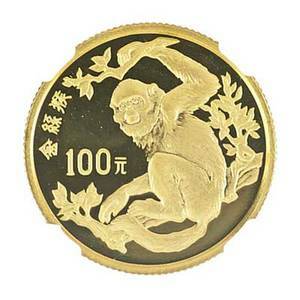 100 yuan coin composed of 1 ounce of platinum. 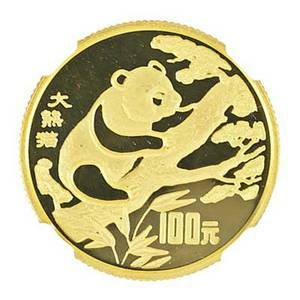 Coin with imagery on one side of a panda bear drinking water by a bank marked with bamboo trees. 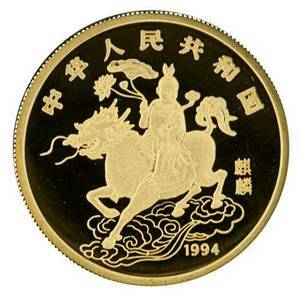 Back of coin with Hall of Prayer for Good Harvests of the Temple of Heaven, or Tiantan, located to the Southeast of central Beijing above date 1987. 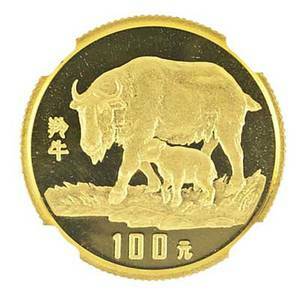 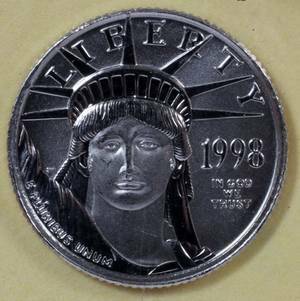 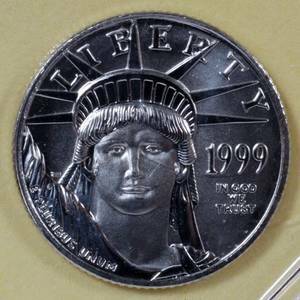 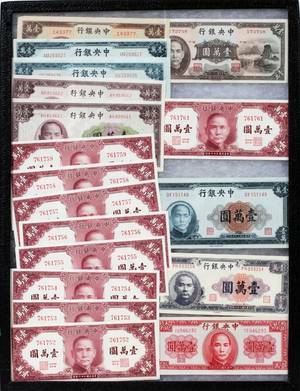 Mintage of 2,000. 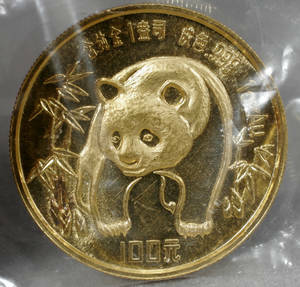 Coin accompanied with certificate of authenticity.